Coin Shop: We Have Added A Couple New Items To Our Coin Shop! New Items! wrote: Kid Icarus: Uprising (3DS) 17,500 Coins. The Wonderful 101 (Wii U) 17,500 Coins. Are you interested in either of these NA downloads? Let us know in our comments below! Re: Coin Shop: We Have Added A Couple New Items To Our Coin Shop! 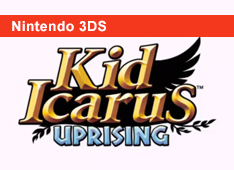 Kid Icarus: Uprising? That's one of the games I'd like to get for my eventual secondary New 3DS.